for $214,900 with 4 bedrooms and 2 full baths, 1 half bath. 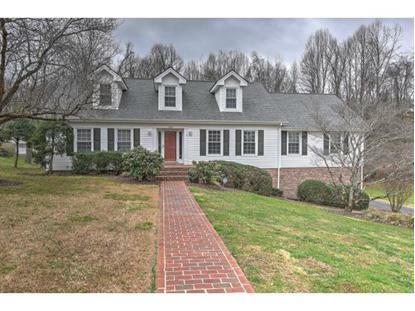 This 2,950 square foot home was built in 1980 on a lot size of 2950 SqFt. This is a beautiful home located in Greeneville on Tanglewood Drive. The home has a beautifully landscaped yard with a brick walkway leading to the entrance of the Home. As you enter the foyer, there is a formal sitting room to the right and a formal dining room to the left, that is perfect for entertaining. The main floor features a large Master Bedroom and Bath with walk-in closet, a den / study with a wood fireplace. Next to the den is a sun room that overlooks the back yard, that is perfect for playing and having get togethers in the summer. There is a half bath and laundry room combo. The kitchen features Corian countertops, an island, walk-in pantry, coat closet, plenty of storage space, and industrial strength flooring. The second floor features three bedrooms one of which has a walk-in closet and attic storage. There are 3 window seats on the upper floor, 2 in 2 of the bedrooms and 1 in the hallway. There is also a Jack and Jill Bath on the 2nd floor. The basement features a 2 car garage, tall ceilings, and a open concept with plenty of storage and work space area. It also has a fireplace and electric heat pump.